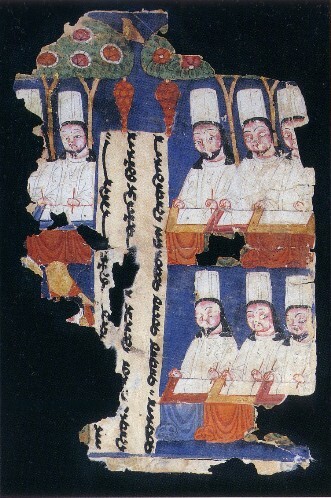 The Corpus Fontium Manichaeorum (Corpus of sources of the Manichaeans) Project is a major international research and publication project sponsored by UNESCO under the aegis of the Integrated Study of the Silk Road. It is a project of the Union of International Academies (Union Académique Internationale UAI) and its sponsoring academy is the Australian Academy of the Humanities. It is also co-sponsored by the British Academy (1990-) and has received major funding from the Australian Research Council, the Arts and Humanities Research Council (UK) and the Chiang Ching Kuo Foundation for International Academic Exchange (Taiwan, ROC) as well as minor funding from the Royal Swedish Academy of History and Letters (1990-91), the Leverhulme Trust (UK, 1990-93), Society of Antiquaries (UK, 1990-94) and the Seven Pillars of Wisdom Trust (UK, 1990-91) in addition to grants from research foundations in Germany and Denmark. The Corpus is published by Brepols of Turnhout (Belgium). The project is also one of the main avenues of publication for the International Association of Manichaean Studies (IAMS). The religion of Mani (c. 216-c.276 CE) was a missionary religion par excellence. 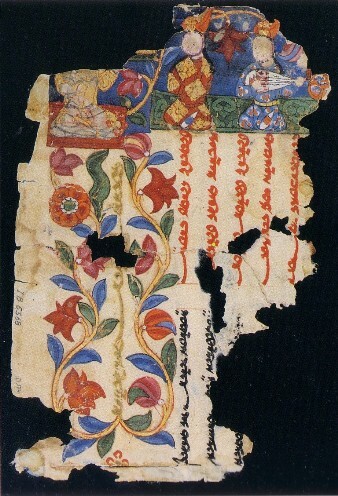 Manichaean texts have been found in Egypt in Coptic, Greek and Syriac, and in N. Africa in Latin and in sites along the Ancient Silk Road in Middle Persian, Parthian, Sogdian, Bactrian, Tocharian B, Chinese and Uighur (Old Turkish) as well as in substantial citations in a wide range of Arabic writings. The project aims to publish not only genuine Manichaean texts but also principal witnesses of the religion from Islamic and Christian (Patristic) sources and the voluminous writings of Saint Augustine on the religion of which he was a member for nine years will form a substantial part of the series. Each volume of the text-series contains introduction, critical text, translation (in English, French or German), commentary and extensive word indices. The Series Subsidia produces research tools such as bibliographies and the multi-volume Dictionary of Manichaean Texts. The Series Archaeologica focuses on the artistic and archaeological remains of the sect now in museums and in situ at archaeological sites. The project began originally as the Database of Manichaean Texts and Dictionary of Manichaean Terms and Concepts at Warwick University, (UK). It was recipient three consecutive Major Research Grants from the British Academy and an unprecedented fourth renewal under the aegis of the Corpus Fontium Manichaeorum. With the appointment of Professor Sam Lieu to the Chair of Ancient History at Macquarie a substantial part of the project moved base to Sydney, Australia. The Institute of Classical Studies in the University of London participated in completing the work on Volume One of the Dictionary of Manichaean Textsand the project now has a U.K. base at the School of Oriental and African Studies but the research office is at the research library of the Ancient India and Iran Trust at Cambridge. The project is administered from Leuven but the research is devolved and Sydney (Manichaean Documentation Centre, Macquarie University), Cambridge (Ancient India and Iran Trust), Münster (Germany) and Aarhus. The administrative HQ for the project is at KU Leuven but the Research Archive of the project is kept and maintained at the Manichaean Documentation Centre which is part of the Ancient History Documentary Research Centre at Macquarie University. The Centre has facilities for Visiting Fellows and doctoral candidates from other institutions to consult this major collection. Prof. S. N. C. Lieu (Macquarie) & Prof. L. Cirillo (Naples). Z. Gulácsi, Manichaean Art in Berlin Collections CCLXXXVIII+350 p., + ill., 210 x 297 mm, 2001, ISBN 978-2-503-50649-4, EUR 145.00. N. A. Pedersen (ed.) Manichaean Homilies 260 p., 210 x 297 mm, 2006, ISBN 978-2-503-51045-3 (English text). A. van Tongerloo, S. Giversen (eds.) Manichaica selecta, Studies presented to Professor Julien Ries on the Occasion of his Seventieth Birthday. 462 p., 160 x 240 mm, 1995, Supplement Ref. 13700010200. The illustrations for this website are taken from Corpus Fontium Manichaeorum, Series Archaeologica I: Z. Gulácsi, Manichaean Art in Berlin Collections, 2001 p. 93 and 94, figs. 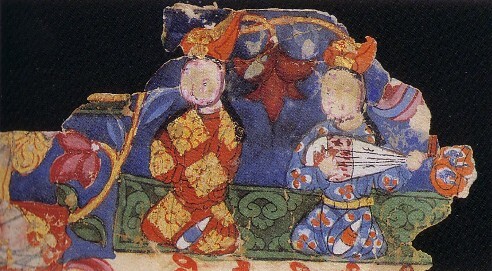 40.1/2/3 (MIK III 6368 Museum of Indian Art, Berlin).